What Are the Early Signs of Heart Disease in Men? Heart disease is a leading cause of death across the globe. In the UK, around 70,000 people die from coronary heart disease (CHD) every year, which equates to an average of 190 people each day or one death every eight minutes. And CHD is a bigger killer in men than it is in women. On average, one in seven men in the UK dies from CHD, compared to one in eleven women. Now recent research has been carried out to try and help men spot the early warning signs of CHD before it’s too late. The research, undertaken by Baptist Health in South Florida, is said to be particularly important for younger men who are less likely to be assessed for heart disease. The researchers involved carried out a review of 26 previous studies which explored the potential link between CHD and erectile dysfunction. Their results suggested that impaired blood flow may be the reason behind the link. The research identified a strong connection between erectile dysfunction and reduced endothelial function. This refers to blood vessels being unable to fully dilate, and therefore being unable to allow blood to flow effectively. Endothelial dysfunction is an early sign of atherosclerosis, which occurs when plaque builds up in the arteries, increasing your risk of heart disease and stroke. What’s more, the research found that erectile dysfunction was also linked with an increase in carotid intimal medial thickness (CIMT). This is when there is plaque build up in the walls of the arteries supplying blood to the head. Although over 60% of men over 60 suffer with erectile concerns, researchers noted that this link between erectile dysfunction and CHD will be particularly important for younger men, as they are less likely to undergo regular health checks and the onset of impotence may be an important indicator. Research undertaken earlier in 2017 also found that men who are at risk of heart disease are more likely to develop erectile dysfunction. 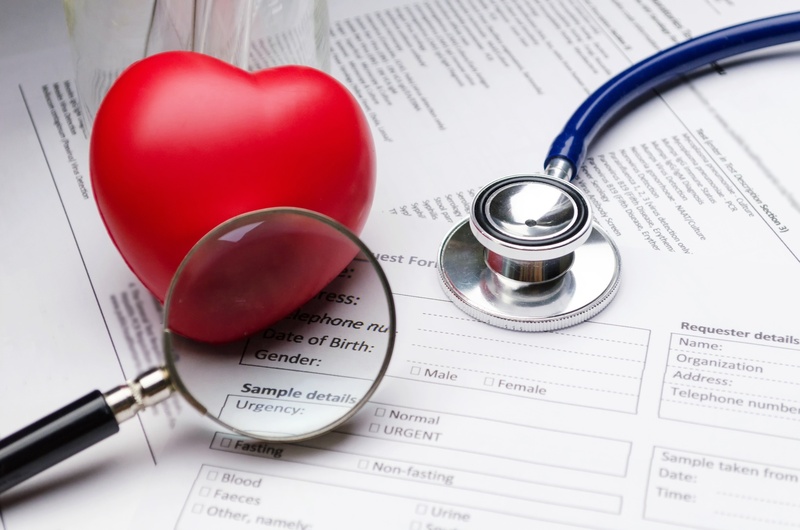 Results from researchers at Northwestern University found that all men who are at high risk of heart disease experienced erectile dysfunction, compared to just 15% of men who are at low risk of heart disease. The author of the study, Dr Abbie Lane-Cordova, said: “We knew that erectile dysfunction was considered an early indicator of vascular disease that might occur before heart disease was diagnosed by a doctor. “The study showed that men who were less likely to have risk factors for heart disease and had healthier behaviours (non-smoking, physically active, healthier diet) were also less likely to have erectile dysfunction later in life. Those suffering from erectile dysfunction should consult a health professional, not least because Express Pharmacy can offer effective, discreet medication to tackle the issue, but also because raising awareness of your ED greatly increases the chances of identifying any potential heart problems earlier. Recent research found that slim people can also find themselves at risk of CHD, as half of the non-smoking middle aged people of normal weight who were tested were found to have diabetes or clogged arteries. This is largely due to the fact that people who aren’t overweight are often less aware of how much saturated fat they are consuming, leading to high levels of LDL cholesterol. However, being overweight remains a significant factor in increasing your risk of CHD. The researchers from Northwestern University identified seven key risk factors for heart disease. These are: high blood pressure, high blood sugar, elevated cholesterol, insufficient physical activity, smoking, poor diet and being overweight or obese. You can get effective and safe weight loss medication from Express Pharmacy, including Xenical and Mysimba. For further advice, information and medication to help you get healthier in 2018, contact the team at Express Pharmacy today. Simply call us on 0208 123 07 03 or use our discreet Live Chat service.